Today, Entertainment Weekly premiered Jukebox the Ghost’s new video for “Somebody,” off the album Safe Travels. Click through to read the EW story, or watch the video in the player below. For a limited time, the album is also on sale at iTunes for $7.99. How much fun have you been having this summer? Probably not as much as Jukebox the Ghost. 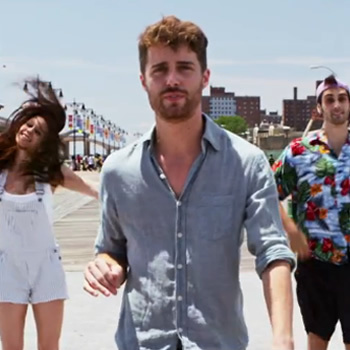 The poppy indie-rock trio from Brooklyn have a sunny new video for their Safe Travels single “Somebody,” and by the looks of it, they know how to have a good time (it helps when you travel with a traveling troupe of flashdancers).